In the past week, Square Enix has opened two restaurants. The first one Kotaku previously introduced, but not the second one. Let’s change that. 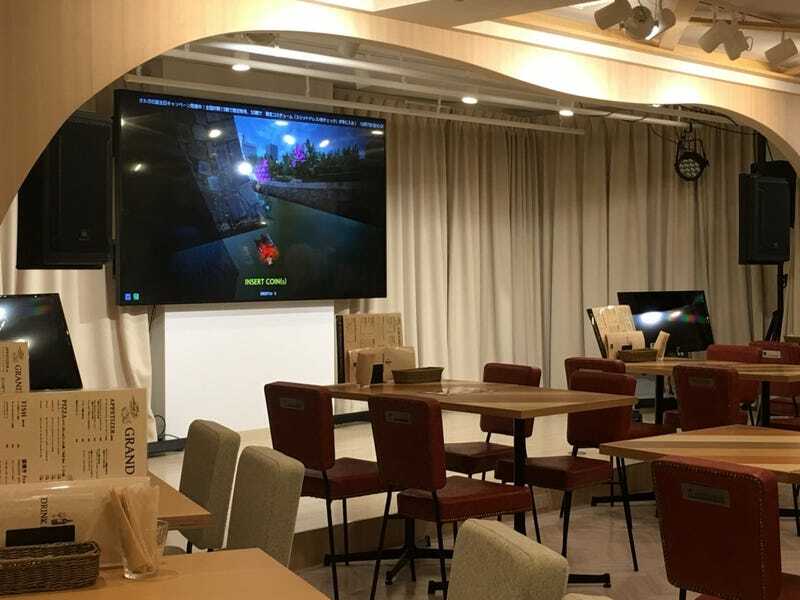 This is “Storia.” It’s located in Tokyo’s Ikebukuro, and the concept is that patrons can watch people play video games while they eat. It vaguely reminds me of a karaoke bar. So far, there are several events lined up, including ones for Dragon Quest Monsters Super Light, Dissidia, and Street Fighter V.
According to the official site, those who want to participate in certain events, like the Dissidia one, must enter a raffle for a chance to play. Not all event appear to have raffles to select players and, instead, have participation fees. Those who don’t get play can enjoy eats and drinks as they watch others.